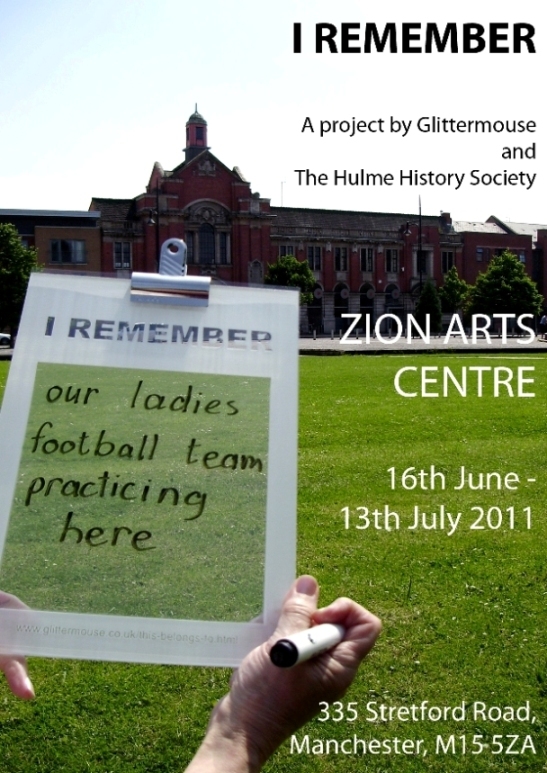 The I Remember workshop with the Hulme History Society early in the summer of 2011 was blessed with good weather which made the stroll in the streets around Stretford Road, Hulme especially pleasant. 7 members of the society all enjoyed the opportunity to relive their memories of the local area and discuss how it had changed, sometimes with some nostalgia but also occasionally recognising where improvements had been made. 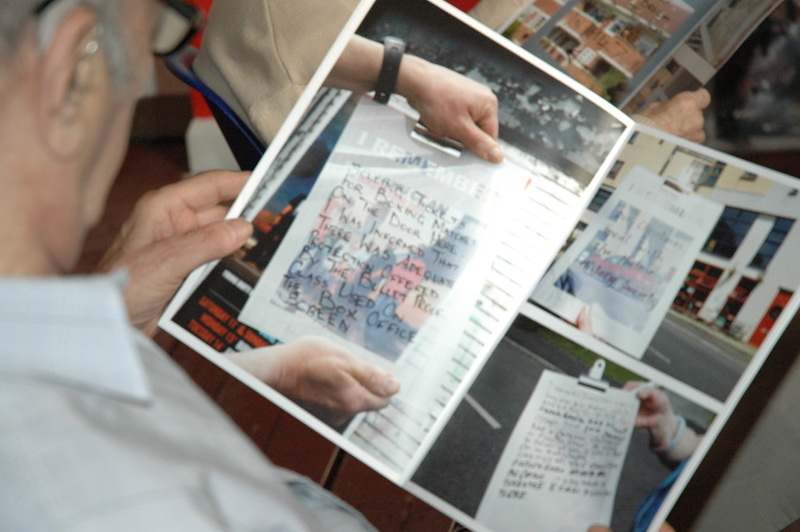 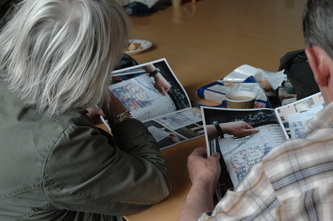 Participants felt that the I Remember board was an easy to use method of helping them to share their thoughts, evoking long forgotten memories and encouraging a discussion of the particulars before they were written down to photograph. 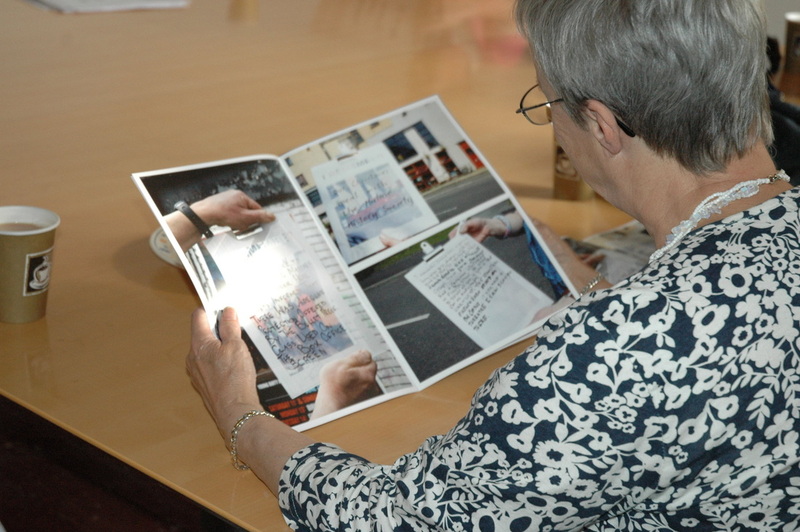 A few weeks later, the society met again to view the photographs for the first time on display at the Zion Centre. 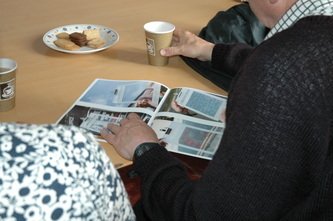 They also each received a copy of the images in the form of a brochure. 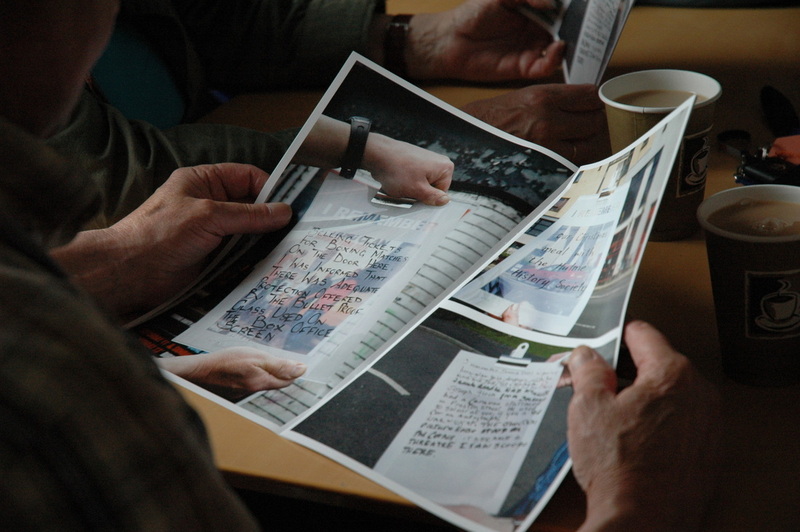 The participants reported that they felt a sense of achievement in viewing the work, commenting that although it was a small portfolio of images, the content was expansive. The group enjoyed a new conversation about the area stimulated by the photographs and were able to share the discussion further with members of the society who had been unable to participate on the day. 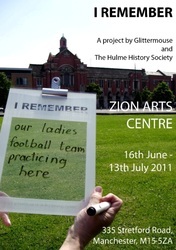 Keen to continue the project, Hulme History Society invited Glittermouse to return in September 2011 and conduct a second I Remember workshop using members' photographs of the area through various decades.